This Field Experience Manual helps students design and reflect on classroom observations, interviews, and sample teaching activities. This workbook will enable students to work within the text, allowing instructors to assign work from the text itself. 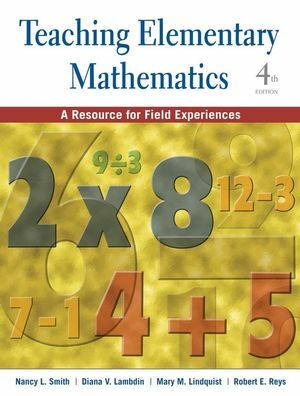 Smith, Teaching Elementary Mathematics: A Resource for Field Experiences can be used with any Elementary Math Methods text. Nancy L. Smith, Ph.D., has been an educator for over twenty years. She taught elementary school and middle school mathematics for ten years in Richmond, Missouri. She is currently an Associate Professor in the Division of Early Childhood/Elementary Teacher Education at Emporia State University in Emporia, Kansas. At ESU she teaches elementary mathematics education courses for preservice and inservice teachers, teaches general elementary education courses, and supervises student teachers.